Landing pages are of critical importance on websites and online marketing initiatives help to improve their performance which reveals itself in the form of higher conversion rates from traffic to sales. The end result is lifting the business’ bottom line. 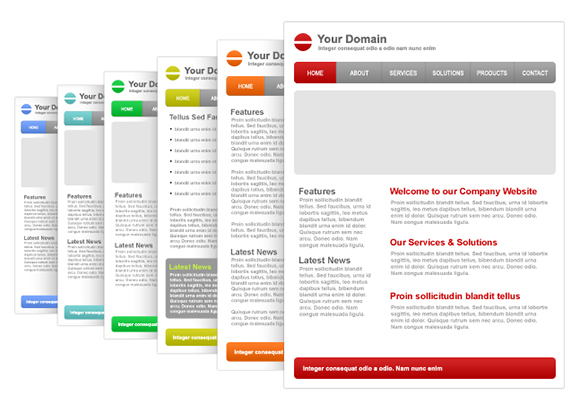 A landing page is actually the page a visitor to a website is directed to for a sale. This could be either to subscribe to notifications, or to sell the products and services on offer. The former means getting another subscriber in the mailing list, and one more potential customer to woo through emails and offers. Experts on online marketing believe that landing pages are the key to money on websites since all marketing efforts are to push visitors to these pages which must be appealing and convincing enough to persuade them to finalize a purchase. Landing pages need to be designed with a single crisp agenda- it can be an online subscriber’s form, or a product page, which must have all the relevant details. The product has to be convincingly described so that the visitor is compelled to make a purchase, and if visitor information is solicited, it must focus on getting it without putting off the visitor. The offer must be crisp and clear in a clutter free page so as to not confuse the visitor. The best landing page is one which makes the buying process simple and easy to follow. Besides being convincing enough, it must guide the visitor through a hassle free series of steps to the final payment stage. Similarly filling the online form must be a simple task without any complicated steps. Nothing puts off a visitor more than erroneous content and improper use of language. Whatever content is included on the landing page must be flawless in grammar, spelling and language. Only then will it make an impact and impress a visitor visibly to make him buy. It is also important for the image of the brand to ensure errors do not nullify the impact made otherwise. There are plenty of online resources available that can be tapped for removing flaws and it may also help to have an editor who will scrutinize every word. The number of people using mobile devices for surfing and ordering, buying and comparing, runs into millions. In fact computers are appearing outdated in front of mobile devices like smart phone, iPads, and other tablet computers. This makes it imperative for websites to have their landing pages optimized for all types of mobile devices, to retain their appeal and impact, and to ensure that they are legible and easy to navigate. Once landing pages have been modified and changed, they can be tested time and again to see what impact they have and the results they yield. Any type of multivariate testing will show the various elements of the page that help the conversion.